Happy Spring! If your organization uses food during the summer, call today for a pricing compare to save thousands! There is still time, but hurry -- our staff is executing pricing compares as I type! Our vendors have the most competitive pricing in the country. Let this be your break-through year! Join today and find out more about how much you can save being a member of The Buying Networks! Our members see vast savings on a number of products and services. Savings percentages seen by our clients are vast and are guaranteed. There is absolutely no risk or commitment involved. Our members see vast savings on a number of products and services. Savings percentages seen by our clients are vast and our membership is completely free. Our agreements with Staples, Amerigas, Food and Supply Source, Prolific, and Ferrellgas, for example, allow members to enjoy multi-million dollar purchasing power on every item or service they purchase. Our members see vast savings on a number of products and services. Savings percentages seen by our clients are vast and our membership is completely free. Savings are guaranteed and there is absolutely no risk or commitment involved. If you are looking to save money for your business, you have come to the right place. The Buying Networks is a money saving company that offers group purchasing to organizations giving them the collective buying power they would not have as individuals. 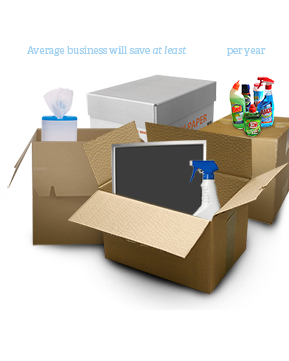 We are dedicated to helping your organization save money on a wide range of products and services. This purchasing group provides the opportunity for easy ways to save money and tips on saving money for your organization. We can offer savings on propane, savings on office supplies, savings on electric, savings on credit card processing and more! There are thousands of products and services to choose from. By joining The Buying Networks your organization can save money on items you purchase everyday. click here to see a snapshot of the typical savings afforded to our members. Furthermore, we have a large list of quality vendors that serve a wide range of products and services; and our list is continually expanding as we search for more vendors that meet our members' needs. We can help you save on credit card processing, save on office supplies, save on propane, save on electric, save on gas, and many more items and services. You have the opportunity to harness the buying power of this network, along with other organizations purchasing millions of dollars in products, for free with no obligation. To join now, click here, and if you have any questions don't hesitate to call us at 1-603-552-2006. The Buying Networks is a free, no-obligation purchasing group helping schools, camps, churches, ministries, and non-profits save money on everyday products and services. Through our negotiations with national vendors, network members have access to national purchasing agreements that provide pricing far below what an individual organization could negotiate locally.